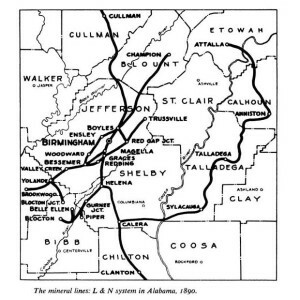 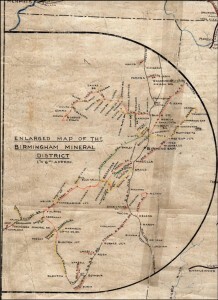 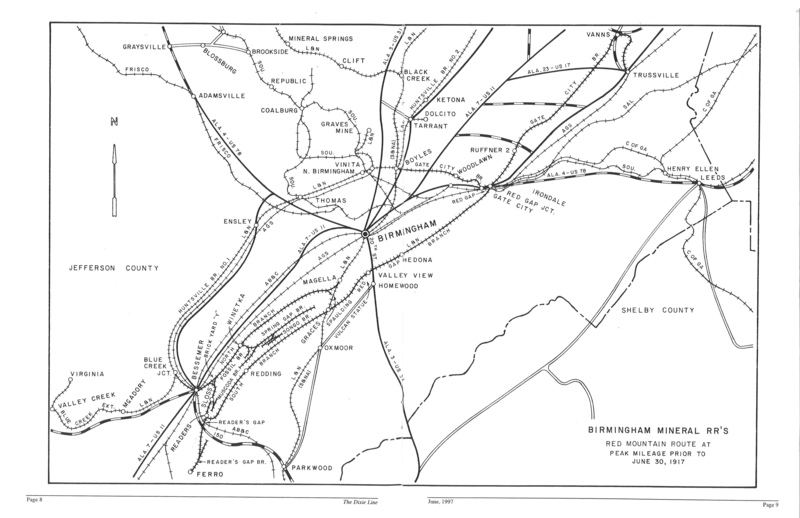 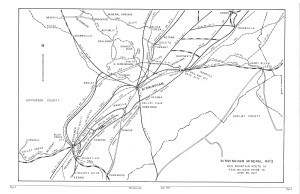 There are many historic maps of the railroads in the Birmingham area (including the BMRR) which were produced at various times and for various purposes. 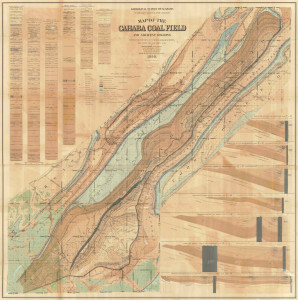 Many of those maps are available digitally. 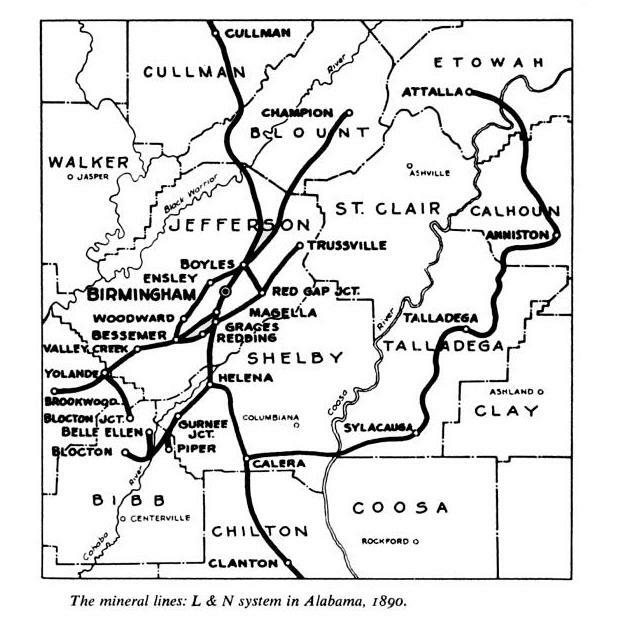 Only a few examples of such maps are shown below, and other, more extensive sources can be accessed such as the Cartographic Research Laboratory at the University of Alabama, the Birmingham Rails website, and holdings of the Birmingham Public Library–both digital and hard copy. 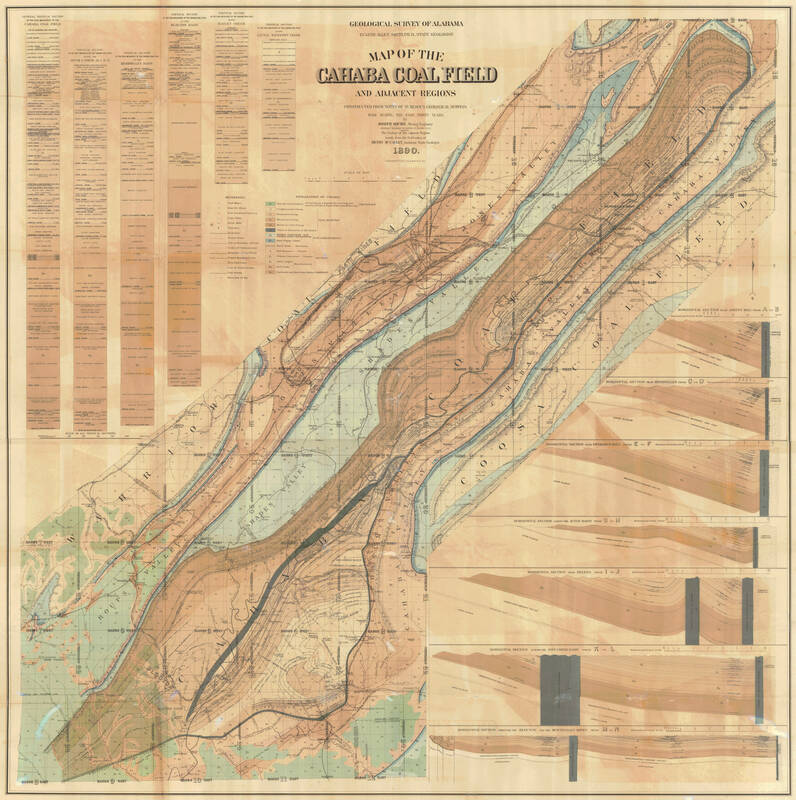 In addition to the historic maps presented below, if you are interested in overlaying historic maps onto current maps, the United States Geological Survey has provided an excellent resource for doing that. 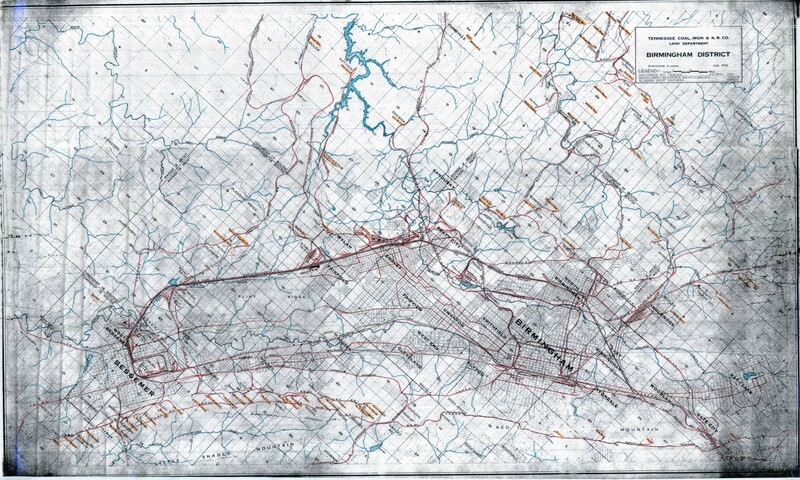 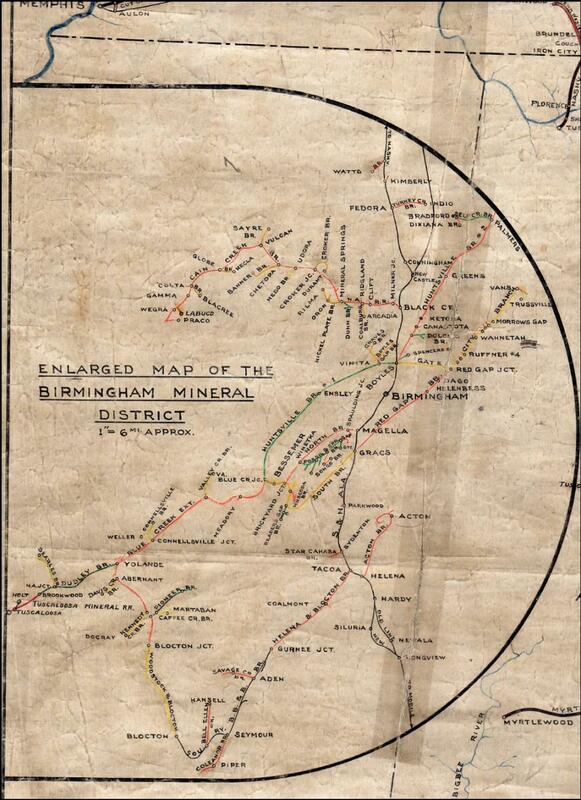 Many of the historic maps that can be overlaid at that website show the Birmingham Mineral Railroad (usually as “L & N Railroad”), and the overlaying capability will enable you to see where it ran in relation to present-day maps. 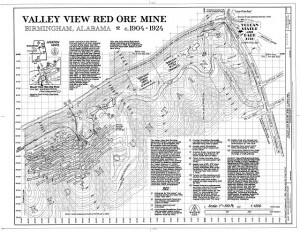 Visit the USGS Historical Topographic Map Explorer website at http://historicalmaps.arcgis.com/usgs/ See the Links to Resources page on the Bham-MRR.com website for instructions for using that online map overlay tool. 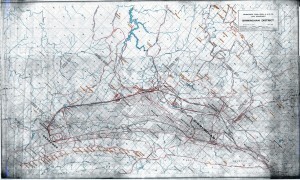 NOTE: Generally, clicking on an image below will enlarge it for better viewing. 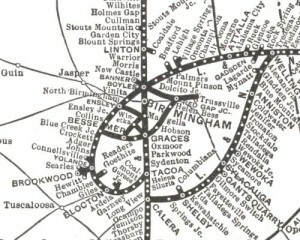 Map Date: 1914 Source: University of Alabama Cartography Research Lab. 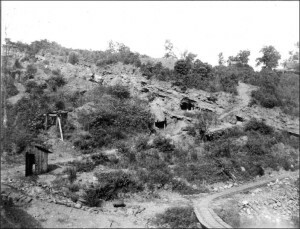 Valley View Mine near Vulcan Trail with current-day features superimposed.